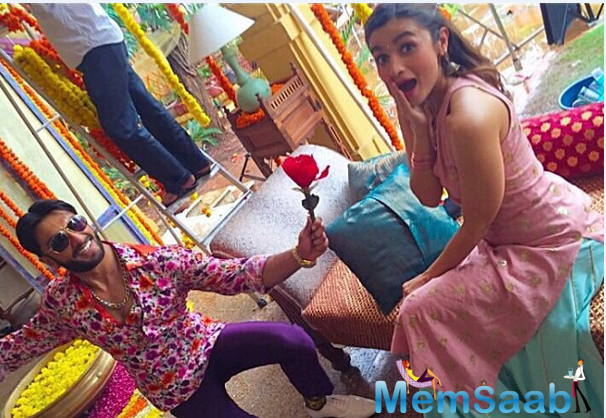 The stars Alia Bhatt and Ranveer Singh are said to be coming together for the first time for a project, details of which have been tightly kept under wraps. One wonders what the project is about but it's given that both the actors are quite a sensation in Bollywood, it will be curious to know what they have paired up for. 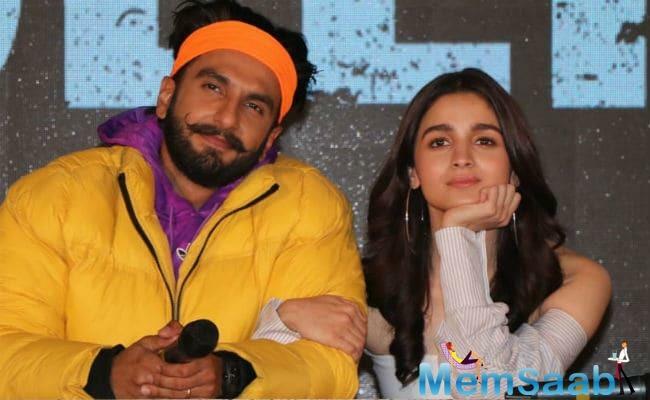 Star Alia Bhatt has slipped into a taxi driver’s garb while Ranveer Singh is seen as a probable passenger of her car in images from a mystery project. Wearing a pair of aviators and holding a glass of ‘cutting chai’, Alia Bhatt sports the look of a taxi driver very well as she leans on a good old black and yellow taxi; while Ranveer, in his bespectacled look, it's every bit a simpleton as his sports oil-laden hair and a bag on his shoulder.